We are excited to provide this digital portal that will assist you in discovering the River of God and His unfathomable torrents of spiritual liberty and real-time reconnaissance. It is our hearts desire to help you navigate through the seemingly dry desert times of your life and discern that the desert is not only your place of consecration, but it is also your greatest environment for the genesis of new supernatural exploits. We call this pattern The Desert Shepherd Warrior Model and it is the only true DNA building block for effective NT ministry found in the Scriptures. 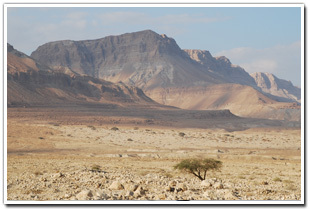 Permit us in the following pages to be your desert guides and navigate you to the hidden watercourses of real-time Scriptural revelation that is found exclusively in understanding the landscapes, topographies, and vistas of the mysterious Israeli deserts. To accomplish this goal, the Spirit of God has graciously equipped us with an extensive Biblical literature background that operates in-sync with an array of special anointings for the sudden proliferations of cutting-edge messages; spontaneous windward music; and rapid tactical operations against evil. You will discover that these specialized anointings to service your faith are embedded in the following multimedia pages and also clustered in the Early Morning Manna teachings we regularly send out. 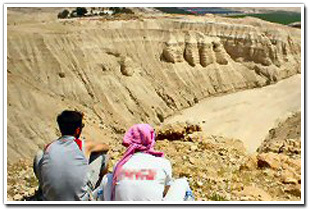 Avid cultivation of these sudden Desert/River communiqués (i.e. 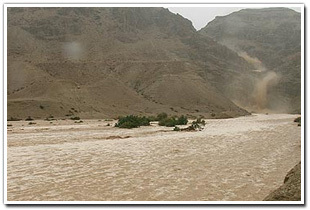 flashfloods) will not only bring you into a deeper understanding of the Hebrew background of the NT, but will also infuse you with a fervency to serve in the original pattern of the true Desert Shepherd Warrior...The Messiah Yeshua! 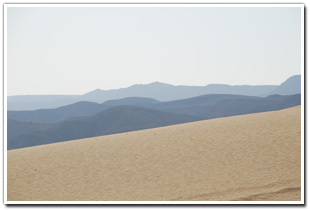 We are living in the most exciting new epoch of history and God by His Spirit is searching the Earth for those who will allow Him to dismantle and humble them in the mysterious pattern of His Desert/River paradigm. This is the continuous pattern seen in the Scriptures before God does a new thing in each generation. May this web portal be a catalyst for that all-inclusive metamorphosis in your life. 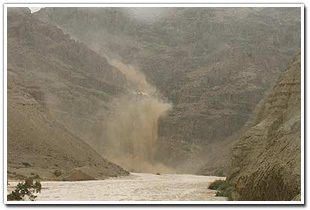 Even the Messiah's return is likened to a mysterious desert flashflood event! transgression in Jacob," declares the LORD."